Assumptions are dangerous – especially when they are made in the realm of religion. If a theological belief is based upon a faulty assumption, the religious practice will be in error. The most common assumptions in Christendom are that Saturday is the Scriptural Sabbath, and Sunday is the day on which Yahushua was resurrected. These beliefs are built upon another assumption: that the modern week has cycled continuously and without interruption ever since Creation. The facts of the Julian calendar, however, prove these assumptions false. 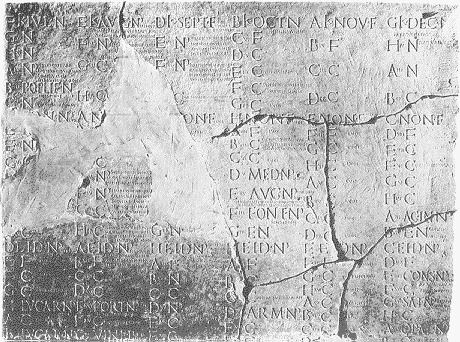 The Julian calendar was established in 45 B.C. 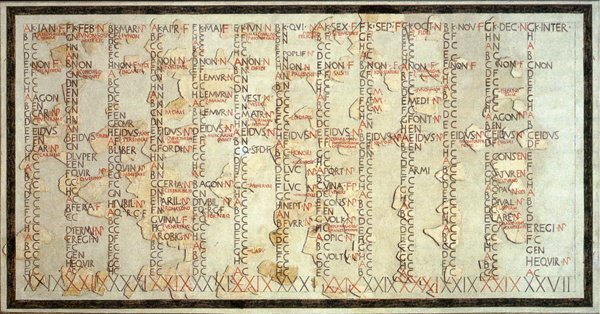 Like the calendar of the Roman Republic before it, the early Julian calendar had an eight day week! Days of the week on the Republican and early Julian calendars were assigned letters: A through H. All early Julian calendars (fasti) still in existence date from 63 B.C. to A.D. 37. An eight-day week is clearly discernable on these stone fragments. As the Roman Empire expanded, it came into contact with Mithraism, which quickly became a popular religious cult in Rome. Mithraism brought a seven-day week with days named after planetary gods. Sunday cannot be the day on which Yahushua arose from the dead, because Sunday did not exist in the eight-day Julian week of His day. Furthermore, Saturday cannot be the true Scriptural Sabbath because the seven-day planetary week originally began on Saturn’s day! The Baths of Titus, in Rome, were built A.D. 79-81. 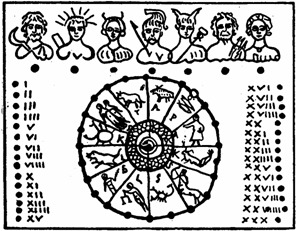 A stick calendar was found there which clearly shows Saturn, god of agriculture, as god of the first day of the week. Dies Solis, or Sun’s day, can be seen as the second day of the week. Luna, the moon-goddess wearing the crescent moon as a diadem, is the third day of the week. The week ends on Venus’ day, dies Veneris, which corresponds to modern Friday, then the seventh-day of the week. The pagan planetary week, like the Julian calendar that adopted it, is irreparably pagan. Historical facts reveal that neither the Scriptural Sabbath nor the Scriptural First Day can be found using the modern calendar. If it is important to worship on a specific day, than it is also important to use the correct, Scriptural calendar to count to that day. 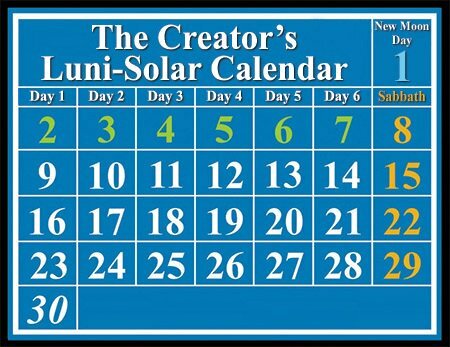 The luni-solar calendar of Creation, using both sun and moon, is the only means to establish the true seventh-day Sabbath and the correct day of Christ’s resurrection. Seasons2: mo’edim. The worshipping assemblies of Yahuwah’s people. The Biblical, luni-solar Hebrew calendar with a seven-day week and a weekly cycle that restarted with each new moon. Which calendar do you think the Israelites (and Yahushua) used? The day on which you worship, dictated by which calendar you use, reveals who you are worshipping. 1 Palazzo Massimo Alle Terme, ed. Adriano La Regina, 1998.